Rolling out their mats, and rolling into Put-in-Bay’s town hall is a collection of visitors to the island, retirees, workers, islanders, and bartenders. The yogis are as eclectic as their island paradise nestled directly off of Ohio’s north coast. Prahst is putting herself into the Hatha yoga poses alongside her husband, Steve. “I’m getting up there in years so its really a nice way to feel good for the rest of the day and it releases a lot of stress. Its so nice to get here and get it all out and relax. This also involves a lot of stretching. This helps with my back problems and my wrist. I recently had surgery on my wrist because I broke my wrist this winter. I asked Kathi to add another class. I would be here every day,” the missus makes solid statements. She had two more years in with the national agency all about aeronautics and space travel than her groom. “I put in thirty-two years with NASA,” Mister Prahst confirms. This is one guy all about exercise. “I like to go to the gym. I’m kind of a gym rat and I like to bike ride, and swim and kayak. I think the thing about exercise is you have to keep doing different things. You don’t want to get into a rut and do the same thing over and over again so I’m always looking for something different to do. Yoga was never convenient or whatever and here it is on Put-in-Bay. Kathi has this class twice a week and its works in just fine,” Mister Prahst proves the benefits are as evident as the moon phases. Sleep is something most vacationers find themselves lacking after a few days away from the mainland. Spayde recently added this amenity to South Bass Island and those such as the Prahsts are proving the instruction is what the island craved. “Today I had three walk-ins they happened to see the sign out front and said, ‘hey, let’s go to yoga class,'” Spayde remarks. The craving was created simply by the craziness one can only experience on an island fueled with an influx of visitors, revelers, and party-goers once season hits. To service them the workers have to work. Rita Overmier is one of them. She bartends at The Boardwalk Restaurant and has visitors surrounding her space from sun up to well past the hours when the sun finally sets. The Prahsts are proof the hours with Spayde doing the downward dog and settling into goddess squats are an effective way to destress. Noting that their PIB home is the place to be. “This is the best place to vacation in Ohio. Right here. We got the islands. The Lake Erie Islands are the place to go,” Steve said. That means a decompression chamber was in the cards, hence Put-in-Bay Yoga. “Its really cool to be here doing yoga in this historical place in the Put-in-Bay City Hall right in downtown (PIB), Its just a great feel,” articulates Steve. Classes are every Tuesday and Thursday at 9:30 a. The F I T N E S S segment from Josie in Paradise Episode I is here. 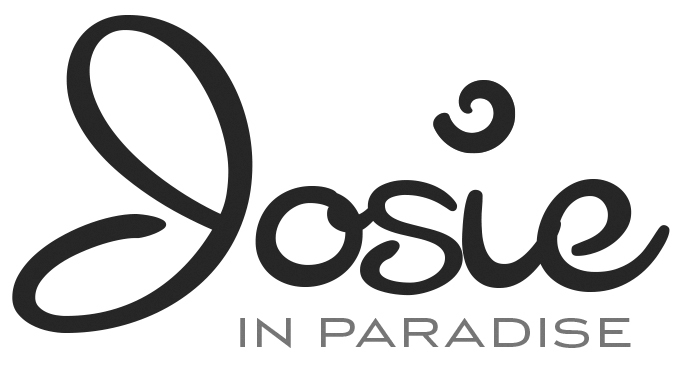 Josie in Paradise airs every Sunday night at 9:30 p from Key West to Boca Raton on At&t UVerse, on Ohio’s X5 Roku Channel, and here.